What do you do when you forget to buy hotdog buns? 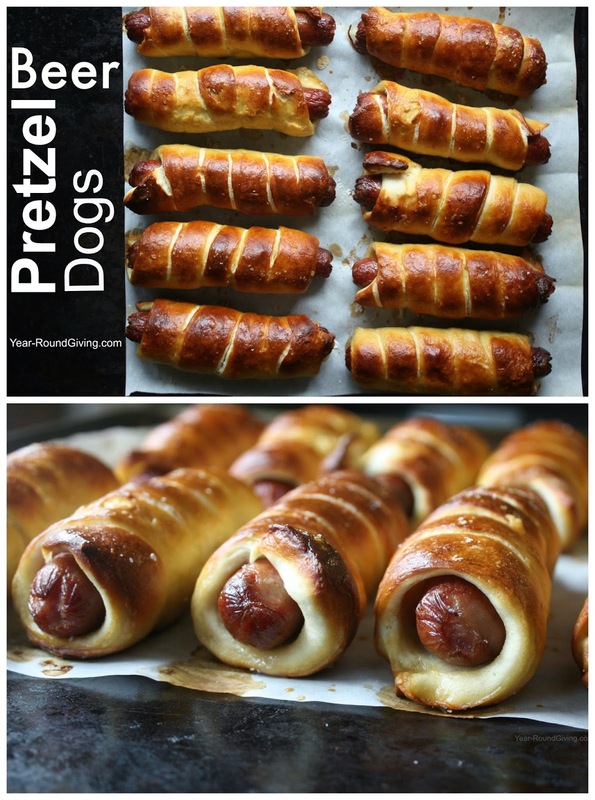 You make beer pretzel dogs. After a recent shopping trip my husband discovered I had bought 2 packages of hot dogs and NO buns! 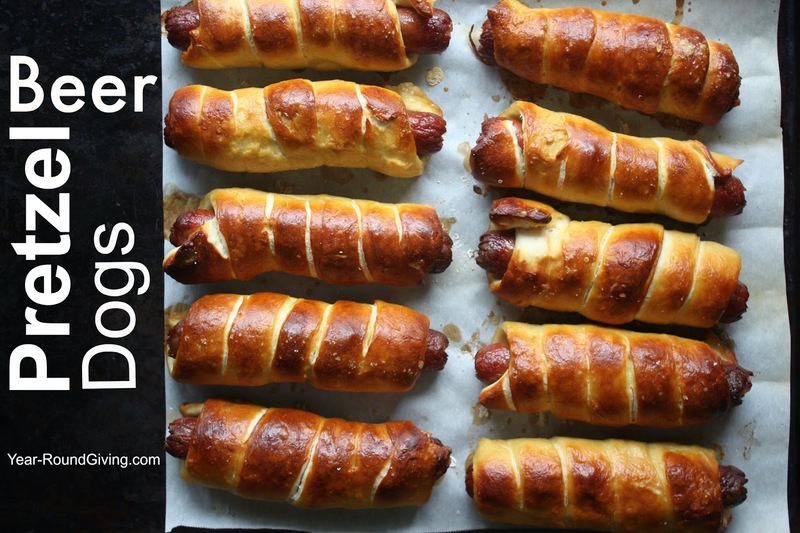 As my husband was pointing out my error, the idea of making beer pretzel dogs came to him like a bolt of lightening. It was Superbowl Sunday after all and if anything was getting made beer would definitely be a key ingredient. If bread making is intimidating to you, get over it. This is simple and it doesn't take hours. However you do need a KitchenAid Stand Mixer to make the pretzel dough. 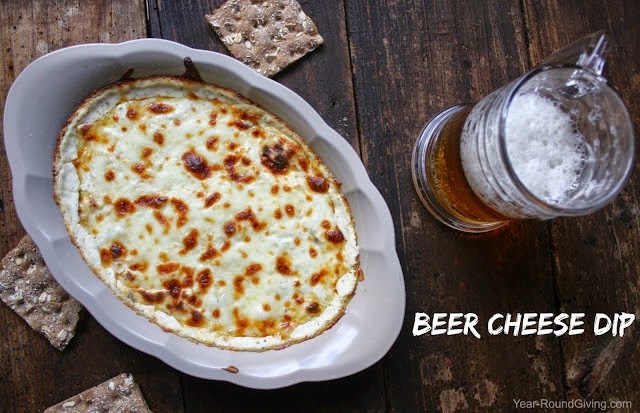 When we make anything with beer we use beer we like. I do encourage you to use your favorite beer just don't use anything too "light". If you use light beer you might as well just use water. The flavor will be lost. I know you are going to ask... We used Blue Moon Belgium White. In your KitchenAid mixing bowl combine beer and sugar. Add yeast and give a quick gently stir. Wait 5 minutes for yeast to bloom. The yeast will be foamy. Add melted butter and 1 tsp salt. Attach the bread hook to your KitchenAid Mixer and turn it on to the first stir setting. Add flour 1/2 cup at a time. Once the dough has formed turn off mixer and remove the mixing bowl from the stand. Grease your hands with Crisco shortening and knead dough in the bowl and work any areas of the dough that are not well incorporated. There will be flour and pieces of dough at the bottom of your bowl. Don't worry about trying to add those crumbs to your dough. You will have plenty. Grease a large cutting board with Crisco shortening. Place dough on cutting board and roll out to a large rectangle. You will need 16 one inch strips of dough. Make an 18x10 inch rectangle. Cut off the uneven edges with a sharp knife or pizza cutter. With a knife or pizza cutter cut 16, 1 inch strips of dough. 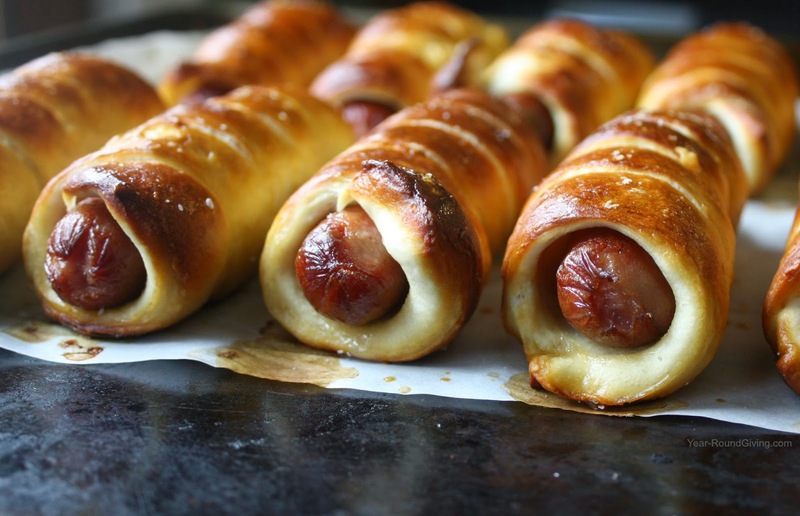 Wrap dough tightly around the hotdogs and leave the ends unwrapped. Place wrapped dogs on your cutting board. Bring about 9-10 cups of water to a boil in a large pot. Drop 2 wrapped hotdogs at a time into the boiling water for 30 seconds. Remove from boiling water and place on the baking sheet. When all the dogs have been dipped in the boiling water beat the egg yolk in 1 Tbs water. Brush the dogs with the egg wash.
Sprinkle the dogs with coarse salt to taste. Don't forget to save and share! Social sharing buttons are on the bottom of this post. This means I make a few cents for advertising a product you may purchase.